Professor Michael Chase, my former Naval War College colleague, has both extensive U.S. government experience and a set of publications that are well worth reading. It has been a great honor and pleasure to collaborate with him on multiple research and writing projects over the past decade. If you are a student at Georgetown or SAIS, you should definitely do one thing I haven’t had the opportunity to do myself and take one of Prof. Chase’s classes on Chinese military development! Dr. Chase’s publication record is simply too extensive to list everything here, but I have endeavored to offer information and links concerning a representative set of his excellent works. Enjoy! Dr. Michael S. Chase is a senior political scientist at RAND and an adjunct professor in the China Studies and Strategic Studies Departments at Johns Hopkins University’s School of Advanced International Studies (SAIS) in Washington, D.C.
A specialist in China and Asia-Pacific security issues, he was previously an associate professor at the U.S. Naval War College (NWC) in Newport, Rhode Island, where he served as director of the strategic deterrence group in the Warfare Analysis and Research Department and taught in the Strategy and Policy Department. Prior to joining the faculty at NWC, he was a research analyst at Defense Group Inc. and an associate international policy analyst at RAND. He is the author of the book Taiwan’s Security Policy and numerous chapters and articles on China and Asia-Pacific security issues. His work has appeared in journals such as Asia Policy, Asian Security, China Brief, Survival, and the Journal of Strategic Studies. His current research focuses on Chinese military modernization, China’s nuclear policy and strategy and nuclear force modernization, Taiwan’s defense policy, and Asia-Pacific security issues. Chase holds a Ph.D. in international affairs and M.A. in China Studies from SAIS and a B.A. in politics from Brandeis University. In addition, he studied Chinese at the Hopkins-Nanjing Center in Nanjing, China. Kevin L. Pollpeter, Michael S. Chase, and Eric Heginbotham, The Creation of the PLA Strategic Support Force and Its Implications for Chinese Military Space Operations RR2058 (Santa Monica, CA: RAND, 10 November 2017). This report explores the missions and organization of China’s Strategic Support Force, created in 2015 to develop and employ space capabilities, in particular launch and operation of satellites to provide C4ISR capabilities for joint operations. Will Edwards, “Enhancing China’s Status as a Great Power,” interview with Jeffrey Engstrom and Michael Chase, The Cipher Brief, 1 August 2017. China is investing heavily in its military modernization program as it aims to extend its power in the region as well as globally. How will China’s growing ability to project power affect U.S. regional goals? Derek Grossman, Michael S. Chase, and Logan Ma, “Taiwan’s 2017 Quadrennial Defense Review in Context,” Global Taiwan Brief, 14 June 2017. Taiwan’s 2017 Quadrennial Defense Review is consistent with past reviews on defense strategy, reform of the military service system, and defense budget constraints. It also emphasizes the importance to President Tsai of Taiwan’s domestic defense industry and shows uncertainty about U.S. Asia policy. John S. Davis II, Benjamin Adam Boudreaux, Jonathan William Welburn, Jair Aguirre, Cordaye Ogletree, Geoffrey McGovern, and Michael S. Chase, Stateless Attribution: Toward International Accountability in Cyberspace RR-2081-MS (Santa Monica, CA: RAND, 2 June 2017). Timothy M. Bonds, Joel B. Predd, Timothy R. Heath, Michael S. Chase, Michael Johnson, Michael Lostumbo, James Bonomo, Muharrem Mane, and Paul S. Steinberg, What Role Can Land-Based, Multi-Domain Anti-Access/Area Denial Forces Play in Deterring or Defeating Aggression? RR-1820-A (Santa Monica, CA: RAND, 22 May 2017). Eric Heginbotham, Michael S. Chase, Jacob Heim, Bonny Lin, Mark R. Cozad, Lyle J. Morris, Christopher P. Twomey, Forrest E. Morgan, Michael Nixon, Cristina L. Garafola, and Samuel K. Berkowitz, Domestic Factors Could Accelerate the Evolution of China’s Nuclear Posture RB-9956-AF (Santa Monica, CA: RAND, 20 April 2017). This brief discusses how domestic factors could influence China’s evolving nuclear deterrent. Eric Heginbotham, Michael S. Chase, Jacob Heim, Bonny Lin, Mark R. Cozad, Lyle J. Morris, Christopher P. Twomey, Forrest E. Morgan, Michael Nixon, Cristina L. Garafola, and Samuel K. Berkowitz, China’s Evolving Nuclear Deterrent: Major Drivers and Issues for the United States RR-1628-AF (Santa Monica, CA: RAND, 15 March 2017). This report analyzes international and domestic factors that will affect China’s approach to nuclear deterrence, how those drivers may evolve over the next 15 years, and what impact they are likely to have. China’s approach to nuclear deterrence has been broadly consistent since its first nuclear test in 1964. Key elements are its no-first-use policy and reliance on a small force of nuclear weapons capable of executing retaliatory strikes if China is attacked. China has recently accelerated nuclear force building and modernization, and both international and domestic factors are likely to drive faster modernization in the future. Chinese nuclear planners are concerned by strategic developments in the United States, especially the deployment of missile defenses. Within the region, Beijing is also an actor in complex multilateral security dynamics that now include several nuclear states, and the improving nuclear capabilities of China’s neighbors, especially India, are a growing concern for Beijing. Constituencies for nuclear weapons have gained in bureaucratic standing within the People’s Liberation Army (PLA). With few, if any, firewalls between China’s conventional and nuclear missile forces, new technologies developed for the former are already being applied to the latter, a trend that will almost certainly continue. Given these changes, China is likely to increase emphasis on nuclear deterrence, accelerate nuclear force modernization, and make adjustments (although not wholesale changes) to policy. Michael S. Chase, Cristina L. Garafola, and Nathan Beauchamp-Mustafaga, “Chinese Perceptions of and Responses to U.S. Conventional Military Power,” Asian Security (March 2017): 1-19. Chinese analysts view the US military not only as a model for emulation but also as a serious threat given its strengths in high tech weapons and equipment, power projection, and unparalleled ability to conduct information-intensive joint combat operations. Yet they also see many of the capabilities the US military relies upon to execute these operations – most notably forward bases, space capabilities, and computer networks and information technology systems – as potentially vulnerable to disruption. Accordingly, China has developed capabilities designed to deter or counter US military intervention in areas close to China. This poses two interrelated challenges for the United States: maintaining its military advantage in an era of rapid technological change and preserving deterrence against growing Chinese ambitions in Asia. Michael S. Chase and Jeffrey Engstrom,“China’s Military Reorganization Aims to Tighten Party Control and Strengthen the PLA’s Warfighting Capabilities,” ChinaFile, 29 August 2016. Xi Jinping’s reforms could result in a leaner, more combat-effective PLA that presents a more potent challenge to China’s neighbors and to U.S. interests. But even successful reforms will not guarantee victory on the battlefield, and any hypothetical conflict involving the U.S. would carry tremendous risks. Michael S. Chase, Kenneth W. Allen, and Benjamin Purser, Overview of People’s Liberation Army Air Force “Elite Pilots” RR-1416-AF (Santa Monica, CA: RAND,24 August 2016). This report draws on a wide variety of Chinese primary sources to provide an overview of how the Chinese People’s Liberation Army Air Force (PLAAF) selects and trains what it calls its elite fighter pilots. Michael S. Chase and Cristina L. Garafola, “China’s Search for a ‘Strategic Air Force’,” Journal of Strategic Studies 39.1 (Fall 2016): 4-28. Once dismissed by many outside observers, the Chinese People’s Liberation Army Air Force (PLAAF) has undergone an impressive transformation over the past two decades, emerging as one of the world’s premier air forces. As it continues to modernize, it is focused on becoming a ‘strategic air force.’ PLAAF strategists suggest this means it should play a decisive role in protecting Chinese national interests, field modern capabilities commensurate with China’s standing as a major power, and enjoy the institutional status befitting its role as a ‘strategic service,’ an important consideration given the historical dominance of the ground force in China’s military. Derek Grossman and Michael S. Chase, “Xi’s Purge of the Military Prepares the Chinese Army for Confrontation,” Newsweek, 21 April 2016. Xi Jinping is relying on an unprecedented anti-corruption campaign, echoing Mao Zedong’s dictum that “the party commands the gun,” and implementing a sweeping reorganization of the PLA to ensure his personal dominance over the military and to strengthen its ability to deter or win future wars. Michael S. Chase and Arthur Chan, “China’s Evolving Strategic Deterrence Concepts and Capabilities,” The Washington Quarterly 39.1 (Spring 2016): 117-36. Strategists often think of strategic deterrence as synonymous with nuclear deterrence, the top of the escalation ladder; China does not. In fact, China’s strategic deterrence concepts are evolving and expanding, along with strides in strategic weapons capabilities, reflecting Beijing’s increasing concerns about external security threats and a growing emphasis on protecting Chinese interests in space and cyberspace. Michael S. Chase and Arthur Chan, China’s Evolving Approach to “Integrated Strategic Deterrence” RR-1366-TI (Santa Monica, CA: RAND, 7 April 2016). This report finds that China’s strategic-deterrence concepts are evolving in response to a changing assessment of its external security environment and a growing emphasis on protecting its emerging interests in space and cyberspace. Michael S. Chase, Cortez A. Cooper, Keith Crane, Liisa Ecola, Scott W. Harold, Timothy R. Heath, Bonny Lin, Lyle J. Morris, and Andrew Scobell, China, Inside and Out: A Collection of Essays on Foreign and Domestic Policy in the Xi Jinping Era CP-797 (Santa Monica, CA: RAND, 20 October 2015). This collection of essays explores some of the realities of China’s overriding philosophies. Michael S. Chase, “Xi in Command: Downsizing and Reorganizing the People’s Liberation Army,” Asia Maritime Transparency Initiative, CSIS, 14 September 2015. Chinese President Xi Jinping recently announced that China would reduce the number of troops in its army by 300,000. But that is only a first step in a more ambitious reform and reorganization plan. Eric Heginbotham and Michael S. Chase, “China’s Military Modernization: Eric Heginbotham and Michael Chase in Conversation,” The RAND Blog, 14 September 2015. Michael S. Chase, “China’s Military Parade Highlights Its New Strategic Capabilities,” U.S. News & World Report, 3 September 2015. China’s elaborate military parade to mark the 70th anniversary of the end of World War II showcased some of the People’s Liberation Army’s newest high-tech weapons. Michael S. Chase and Benjamin Purser, “China’s Airfield Construction at Fiery Cross Reef in Context: Catch-Up or Coercion?”Asia Maritime Transparency Initiative, CSIS, 11 August 2015. Even if China really sees itself as undertaking legitimate activities to protect its rightful interests, it is not surprising that its rival claimants, as well as the United States and other countries in the region, see Beijing’s island building activities as efforts to improve China’s abilities to bully its neighbors. RR-1114-RC (Santa Monica, CA: RAND, 23 July 2015). Exploring the elements of a national strategy for U.S. foreign policy, the book examines critical global, regional, and other policy issues and decisions likely to confront the next president and senior U.S. officials in 2017 and beyond. RR-990-OSD (Santa Monica, CA: RAND, 12 March 2015). 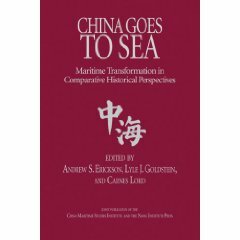 RAND’s exploratory analysis of China’s development and use of unmanned systems focuses on maritime unmanned systems, the roles China sees for them, Chinese development of unmanned vehicles, and uses for such systems in the East and South China Seas. Michael S. Chase, Jeffrey Engstrom, Tai Ming Cheung, Kristen Gunness, Scott W. Harold, Susan Puska, and Samuel K. Berkowitz, China’s Incomplete Military Transformation: Assessing the Weaknesses of the People’s Liberation Army (PLA) (Santa Monica, CA: RAND, 13 February 2015). The PLA is keenly aware of its many weaknesses and is vigorously striving to correct them. Through extensive primary source analysis and independent analysis, this report seeks to answer a number of important questions regarding the state of China’s armed forces. What have been the overall scope and scale of People’s Liberation Army (PLA) modernization since the mid-1990s, and what is its likely trajectory through 2025? What are the missions Beijing has assigned to the PLA? What are the weaknesses in the PLA’s organization and human capital? What are the weaknesses in the PLA’s combat capabilities in the land, air, maritime, space, and electromagnetic domains? What are the weaknesses in China’s defense industry (research and development and production)? The authors found that the PLA is keenly aware of its many weaknesses and is vigorously striving to correct them. Chinese military publications recognize that this is a tall order. Indeed, the PLA leaders and official media frequently state that the force seeks to harness the capabilities of the information age to conduct complex joint operations, even though it is not yet fully mechanized or structured to command and control the campaigns it aspires to conduct. Although it is only natural to focus on the PLA’s growing capabilities, the authors found that understanding the PLA’s weaknesses—and its self-assessments of the shortcomings—is no less important. Doing so can help provide a sense of the PLA’s priorities for future modernization efforts, support U.S. military engagement with the PLA, and inform the development of strategies to deter or defeat Chinese coercion or use of force. Timothy R. Heath and Michael S. Chase, “A Thaw in Asia,” U.S. News & World Report, 14 November 2014. Chinese President Xi Jinping’s meeting with Japanese Prime Minister Shinzo Abe this week raised hope for the near term that the leaders of both countries can ease tensions between Asia’s two largest economies. Michael S. Chase, Timothy R. Heath, Ely Ratner, “Engagement and Assurance: Debating the U.S.-Chinese Relationship,” The National Interest, 5 November 2014. The risks of strategic rivalry with China deserve serious attention. But the best way to avoid the destabilizing effects of military competition is sustained U.S. engagement with China and the region—precisely what U.S. policy has been seeking to achieve. Part One of this article covered the modernization of the People’s Liberation Army Second Artillery Force’s (PLASAF) conventional arsenal and the “conventionalization of deterrence”—the creation of doctrines that rely on advanced non-nuclear weapons to deter U.S. and other international intervention in a regional conflict (read the first part in China Brief, Vol. 14, Issue 13). While PLASAF has made these changes, it has also upgraded its nuclear capabilities, including discussions of ways in which nuclear weapons can deter conventional attacks despite China’s No First Use policy. But for upgraded hardware to achieve its goals, it must be commanded and operated by higher caliber, better-prepared soldiers, a challenge that is increasingly important to this branch. The Second Artillery has made significant progress, particularly in modernizing its hardware, but also operations and training. Its main mission remains deterrence, especially toward U.S. intervention in a regional conflict. This deterrence mission increasingly emphasizes conventional capabilities, but nuclear weapons have also been modernized to ensure their continued effectiveness. On January 22, the website Chinese military newspaper PLA Daily published photos of a People’s Liberation Army Second Artillery Force (PLASAF) unit engaged in field training with a DF-31 road-mobile ICBM launcher (China Military Online, January 22). The photos did not reveal a new capability (China began deploying road-mobile ICBMs more than seven years ago), nor were they likely intended as a warning to a particular state, although some regional media interpreted them as a threat (South China Morning Post, January 23; Chosun Ilbo, January 26). However, their publication highlights an important trend: increased confidence in the conventional and nuclear capabilities of China’s strategic missile force. As context and military missions change, PLASAF has remained relevant by developing growing conventional deterrence through demonstrating capability to prevail in a regional conflict and preventing U.S. intervention therein. Andrew S. Erickson and Michael S. Chase, “China Goes Ballistic,” The National Interest 131 (May-June 2014): 58-64. China is increasingly a force to be reckoned with, not only economically but also militarily. Its aggressive stance toward some of its neighbors, along with Asia’s growing economic importance and the need to assure U.S. allies that Washington will increase its attention to the region despite budgetary challenges and fractious domestic politics, prompted the Obama administration to announce a “rebalance” toward Asia. Now Beijing’s relations with Japan—which has been indulging in what China sees as alarming spasms of nationalism, including a recent visit by Prime Minister Shinzo Abe to the Yasukuni shrine—have deteriorated to their lowest level in many years. In addition, China’s efforts to undermine Japan’s administrative control over the disputed Senkaku/Diaoyu islands are raising the possibility of a crisis that could draw in the United States by challenging the credibility of U.S. extended deterrence. To deter negative Chinese actions in this vital but volatile region while avoiding dangerous escalation, Washington must better understand the ultimate instrument of Chinese deterrence: the People’s Liberation Army Second Artillery Force (PLASAF), which controls the country’s land-based nuclear and conventional ballistic missiles and its ground-launched land-attack cruise missiles. Michael S. Chase, Stephanie Lieggi, Andrew S. Erickson, and Brian Lafferty, “China’s Nuclear Weapons Program and the Chinese Research, Development, and Acquisition System,” in Kevin Pollpeter, ed., Getting to Innovation: Assessing China’s Defense Research, Development, and Acquisition System 7.12 (La Jolla, CA: University of California Institute on Global Conflict and Cooperation, January 2014), 81-85. Historically, China’s nuclear program developed a significant level of indigenous innovation. Although the activities and processes within the nuclear weapons program may be difficult to reproduce in more typical defense acquisition programs, the case of the nuclear complex indicates that China’s RDA process is capable of overcoming major technical hurdles and deficiencies. When Beijing provides sufficient financial and human resources, affords well-trained scientists autonomy, and creates a system that facilitates cross-discipline cooperation, innovation and self-sufficiency are possible. 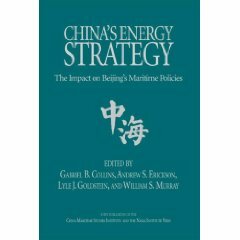 Studying the nuclear weapons program is thus useful not only because of its importance in shaping China’s nuclear future, but also because it provides broader insights into trends in the development of China’s defense industries, some of which may be applicable to other high-priority programs. Christopher T. Yeaw, Andrew S. Erickson, and Michael S. Chase, “The Future of Chinese Nuclear Policy and Strategy,” in Toshi Yoshihara and James Holmes, eds., Strategy in the Second Nuclear Age: Power, Ambition, and the Ultimate Weapon (Washington, D.C.: Georgetown University Press, 2012), 53-80. The development of China’s missile force has been among the most impressive and most closely watched aspects of Chinese military modernization over the past two decades. Beyond its growing and increasingly sophisticated arsenal of conventional missiles, China’s nuclear modernization is focused on improving the ability of its forces to survive an adversary’s first strike and making its nuclear deterrence posture more credible in a missile defense environment. At the theater level, the PRC maintains nuclear-armed, solid-propellant, road-mobile DF-21 (CSS-5) medium-range ballistic missiles (MRBMs) as the cornerstone of its regional nuclear deterrence capability. As for its strategic nuclear capabilities, China still deploys a relatively small number of silo-based DF-5A (CSS-4 Mod 2) ICBMs, and Beijing is moving toward a more survivable posture based on solid-fueled, road-mobile intercontinental ballistic missiles (ICBMs). Indeed, both the DF-31 (CSS-10 Mod 1) and DF-31A (CSS-10 Mod 2) road-mobile ICBMs have been deployed to units within the Second Artillery Force during the past few years. The DF-31 (CSS-10 Mod 1) is capable of reaching targets throughout Europe and Asia as well as parts of the northwestern United States, while the longer-range DF-31A (CSS 10 Mod 2) is capable of targeting almost all of the continental United States. In addition, China may be developing a new road-mobile ICBM that could be equipped with multiple, independently targetable reentry vehicles. China is also attempting to further diversify its nuclear forces by deploying a new submarine-launched ballistic missile (SLBM) and nuclear-powered ballistic-missile submarine. Since its establishment in the early 1990s, the conventional missile component of the People’s Liberation Army’s Second Artillery Force (SAF) has emerged as a centerpiece of China’s accelerating military modernization program. The conventional missile force has grown in size and sophistication, and China has developed a doctrine for its employment. Chinese military publications emphasize that it plays an increasingly important role in deterrence and warfighting. In particular, Chinese sources underscore its role in achieving information dominance, air superiority, and sea control as well as countering third-party intervention. China’s development of advanced conventional missile capabilities highlights the growing vulnerability of fixed bases and surface ships. Moreover, organizational tendencies, could fuel dangerous escalation. In response to these challenges, the United States must adapt its traditional approach to military operations and deterrence in the Asia-Pacific. 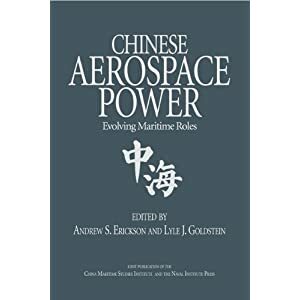 Michael S. Chase, “Strategic Implications of Chinese Land-Attack Cruise Missile Development,” in Andrew S. Erickson and Lyle J. Goldstein, eds., Chinese Aerospace Power: Evolving Maritime Roles (Annapolis, MD: Naval Institute Press, 2011), 287-303. Much scholarly attention has been devoted to China’s rapidly growing ballistic missile force in recent years, but relatively little has been written on China’s development of its land-attack cruise missile (LACM) capabilities. Considering the rapid increase in the number and sophistication of Chinese short-range ballistic missiles (SRBMs), the deployment of China’s DF-31 and DF-31A road-mobile intercontinental ballistic missiles (ICBMs), and the development of conventionally armed medium-range ballistic missiles (MRBMs), including one intended to target aircraft carriers, it is understandable that Chinese LACM developments have been overshadowed to some extent by these impressive ballistic missile force modernization efforts. The development of Chinese LACM capabilities is clearly worthy of greater analytical attention, however, especially given its potential strategic implications for the United States and its friends and allies in the region. Indeed, China’s public display of DH-10 LACMs during the 1 October 2009 military parade that marked the sixtieth anniversary of the founding of the People’s Republic of China (PRC) appeared to demonstrate the People’s Liberation Army’s (PLA) growing confidence in its LACM capabilities. As if to underscore the message sent by the appearance of the DH-10 LACM launchers in the parade, an official Chinese media report carried comments by Lieutenant Colonel Gou Yi, the Second Artillery officer in charge of the cruise missile formation, who described China’s LACMs as “sharp swords” for precision attacks against regional targets. The same report also highlighted remarks by deputy commander of the Second Artillery Yu Jixun, who emphasized several key characteristics of the LACMs that were on display during the parade, including their long-range precision targeting, concealed deployment, and rapid response capabilities. Michael S. Chase and Andrew S. Erickson, “Changing Beijing’s Approach to Overseas Basing?” Jamestown China Brief 9.19 (24 September 2009). Although China has traditionally avoided basing its troops abroad, the People’s Republic of China’s (PRC) growing global interests and its military’s evolving missions are leading some Chinese analysts to suggest that Beijing may need to reconsider its traditional aversion to establishing overseas military facilities. In particular, the People’s Liberation Army Navy’s (PLAN) experience with anti-piracy operations in the Gulf of Aden that began in December 2008 appears to have sparked a debate over the efficacy of continuing to adhere to China’s oft-stated and longstanding policy of refraining from establishing any overseas military bases or other dedicated facilities capable of supporting military operations in distant regions. As the PRC’s global interests rapidly expand, Chinese security analysts are debating the potential value of such new steps as “establishing land-based supply and support facilities” with increased frequency and intensity. This suggests China may be on the verge of moving beyond its traditional approach. Indeed, some Chinese scholars and military officers are now calling for the establishment of such overseas support facilities to handle the logistics required by a more active role abroad for the Chinese military. 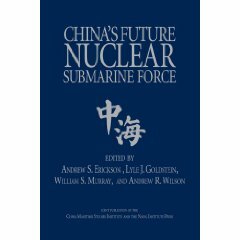 Andrew S. Erickson and Michael Chase, “China’s SSBN Force: Transitioning to the Next Generation,” Jamestown China Brief 9.12 (10 June 2009). China’s undersea deterrent is undergoing a generational change with the emergence of the Type-094, or Jin-class, which represents a substantial improvement over China’s first-generation Type-092, or Xia-class, nuclear-powered ballistic missile submarine (SSBN). Launched in the early 1980s, the People’s Liberation Army Navy’s (PLAN) single Xia-class SSBN has never conducted a deterrent patrol and is equipped with relatively short-range (1,770 km) JL-1 SLBMs (submarine-launched ballistic missiles). In contrast, China may build five Type-094 SSBNs, which will enable the PLAN to conduct near-continuous deterrent patrols, and each of these second-generation SSBNs will be outfitted with 12 developmental JL-2 SLBMs that have an estimated range of at least 7,200 km and are equipped with penetration aids. Although the transition to the new SSBN is ongoing, recent Internet photos depicting at least two Jin-class SSBNs suggest that the PLAN has reached an unprecedented level of confidence in the sea-based leg of its strategic nuclear forces. Indeed, China’s 2008 Defense White Paper states that the People’s Liberation Army Navy (PLAN) is enhancing its “nuclear counterattack” capability. With the anticipated introduction of the JL-2 missiles on the Jin and the deployment of DF-31 and DF-31A road-mobile intercontinental ballistic missiles (ICBMs), China is on the verge of attaining a credible nuclear deterrent based on a ‘survivable’ second-strike capability. Andrew S. Erickson and Michael S. Chase, “An Undersea Deterrent? China’s Emerging SSBN Force,” U.S. Naval Institute Proceedings 135.4 (June 2009): 36-41. China’s investment in a nuclear-powered ballistic-missile submarine force and the accompanying infrastructure indicates a major effort to take the boats to sea. Increasingly aggressive Chinese harassment of U.S. survey vessels came to a head on 8 March when five Chinese ships surrounded the ocean surveillance ship USNS Impeccable (T-AGOS-23), with one Chinese crew member even apparently attempting to snag her towed array with a grappling hook. The Impeccable was operating in international waters 75 miles south of China’s new Yalong Bay submarine base on Hainan Island, prompting speculation that the Chinese actions represented a coordinated effort to dissuade the United States from monitoring China’s latest nuclear-powered submarines and their area of operations. According to Xiamen University South China Sea expert Li Jinming, “It is well known that the submarine base was established [at Hainan], so it is unacceptable for China to have the U.S. Navy snooping around so close.” This incident suggests that Beijing may be particularly sensitive about U.S. activities in this region, in part because it appears poised to become the home base of China’s second generation of nuclear-powered ballistic-missile submarines (SSBNs), the Type 094, or Jin-class. Michael Chase, Andrew S. Erickson, and Christopher Yeaw, “The Future of Chinese Deterrence Strategy,” Jamestown China Brief 9.5 (4 March 2009): 6-9. The development of China’s nuclear and conventional missile power has been among the most impressive and most closely watched aspects of Chinese military modernization over the past two decades. During the past 20 years, the Second Artillery Corps (SAC) has been transformed from a small and exclusively nuclear force to a much larger and more powerful force with a variety of roles for a growing and increasingly sophisticated arsenal of nuclear and conventional missiles. The deployment of the road-mobile DF-31 and DF-31A intercontinental ballistic missiles (ICBMs) is enhancing the striking power and survivability of China’s nuclear forces. Moreover, the deployment of more than 1,000 short-range ballistic missiles (SRBMs) since the SAC was given a conventional role in the 1990s gives China many options for striking targets in the region. The development of an anti-ship ballistic missile capability could deter or otherwise complicate U.S. intervention in the event of a regional crisis or conflict. In addition to these developments, the People’s Liberation Army Navy’s (PLAN) contribution to China’s nuclear deterrence posture is also changing with the transition from the PRC’s first-generation nuclear-powered ballistic missile submarine (SSBN), which was armed with the relatively short-range JL-1 submarine-launched ballistic missiles (SLBMs) and never conducted a deterrent patrol, to perhaps as many as five Jin-class SSBNs, each of which will be armed with 12 JL-2 SLBMs. This will diversify China’s nuclear deterrent and may further enhance its survivability. Chinese analysts assess that the deployment of SSBNs and land-based mobile missiles will “fundamentally ensure the reliability and credibility of China’s nuclear force.” The SAC’s growing conventional ballistic missile capabilities, particularly the anti-ship ballistic missile, also suggest a growing deterrence role for these conventional forces. Michael Chase, Andrew S. Erickson, and Christopher Yeaw, “Chinese Theater and Strategic Missile Force Modernization and its Implications for the United States,” Journal of Strategic Studies 32.1 (February 2009): 67-114. The People’s Republic of China (PRC), no longer content with its longstanding ‘minimalist’ nuclear posture and strategy, is enhancing the striking power and survivability of its theater and strategic missile forces and rethinking its nuclear doctrine in ways that may pose serious challenges for the United States. Although the modernization of Chinese nuclear and missile forces may ultimately result in greater strategic deterrence stability, this change will not come about immediately or automatically. Indeed, it is entirely possible that China’s growing missile capabilities could decrease crisis stability under certain circumstances, especially in the event of a US–China conflict over Taiwan. Andrew S. Erickson and Michael S. Chase, “Information Technology and China’s Naval Modernization,” Joint Force Quarterly 50 (3rd quarter 2008): 24-30. Michael S. Chase, Taiwan’s Security Policy: External Threats and Domestic Politics (Boulder, CO: Lynne Rienner, May 2008). Confounding expectations, Taiwan is reducing its military spending even as its sole adversary, the People’s Republic of China, modernizes its military and significantly increases its defense budget. Michael Chase examines the key factors that have shaped Taiwan’s security policy over a span of three decades. Chase explores both the role of US security assurances in formulating Taiwan’s defense policy and the profound influence that domestic politics has played. He also considers the context of cross-Strait relations and the implications of Taiwan’s security choices for potential instability and conflict in the region and beyond. Relying on extensive Chinese-language sources and interviews, he offers the most definitive treatment of Taiwan’s security policy to date. This book explores the key external and domestic factors shaping Taiwan’s current security policy. Andrew S. Erickson and Michael S. Chase, “PLA Navy Modernization: Preparing for ‘Informatized’ War at Sea,” Jamestown China Brief 8.5 (29 February 2008): 2-5. In recent years, senior Chinese Communist Party (CCP) leaders and high-ranking military officers have repeatedly emphasized the importance of naval modernization. This growing sense of urgency about naval modernization appears to be a function of increasing concern about maritime security issues, particularly Taiwan, the protection of maritime resources and energy security. These missions drive the PLAN’s requirements, not only for new platforms, but also for command, control, communications, computer, intelligence, surveillance and reconnaissance (C4ISR) capabilities. Enhancing the PLAN’s information technology and communications capabilities is thus seen as critical to the success of Chinese naval modernization. Reaching this goal hinges on narrowing the gap between the PLAN and the world’s most advanced navies through the development, acquisition and integration of advanced information technology. RB-213-AF (Santa Monica, CA: RAND, 22 March 2007). MG-524-AF (Santa Monica, CA: RAND, 21 March 2007). Antiaccess strategies could allow China to reach its military and political objectives while keeping the United States from doing so. There are a number of actions the United States can take to counter such strategies. MG-340-OSD (Santa Monica, CA: RAND, 7 March 2006). TR-133 (Santa Monica, CA: RAND, 13 December 2004). Analyzes the dynamics of the transfer of technology and capital between Taiwan and China and assesses their impact on cross-Strait relations and the worldwide semiconductor industry. MR-1543 (Santa Monica, CA: RAND, 1 February 2002). An analysis of the political use of the Internet by Chinese dissidents, both in the PRC and abroad, and the counterstrategies that Beijing has employed to prevent or minimize its impact.